So what's the difference between raw bee pollen and plain old bee pollen? Well, the differences might surprise you. 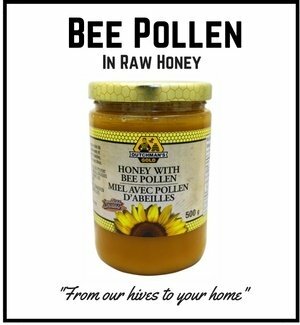 I recommend consuming raw bee pollen along with other products of the hive like raw honeyand royal jelly in as natural a state as possible. For the same reason it is better to consume a fresh, raw peach than it is to eat a can of peaches that have been heated and packed into an aluminum can coated with chemicals and then sat on a truck and a shelf for 3 months before you buy it. Mother Nature knows best and if she had her way, we'd eat everything raw and unprocessed. And people are figuring this out - the raw foods movement is growing rapidly. Progressive cities like Vancouver and Toronto have raw food restaurants now. Grocery stores like Whole Foods that promote raw and organic are thriving. Futhermore, most foods packaged in a can or a box are heavily processed before they make their way into the can or box. Processing would include things like refining, bleaching, coloring, heating, drying, chemically separating, grinding, enriching, preserving or crushing. All of these things kill enzymes and destroy nutrients. Raw foods also won't be found in pill or tablet form. To place a raw food in one of these forms, you first need to process or refine a food until it either the desired component of the food is isolated or you've removed the moisture from it. Again, this process destroys the vital living components of a raw food like bee pollen. There are several nutritional supplement manufacturers out there who claim that their supplements in pill form are 'raw' and 'living.' While they may have a unique product that is more 'living' than a regular supplement,no manufacturing process will yield a truly raw food. The only way to do this is to leave a food how mother nature intended it - eaten directly from the plant or tree that is was grown on. Raw Bee Pollen - What is it? Raw bee pollen is simply bee pollen that hasn't been processed or refined or ground down to a powder or dried with excessive heat. 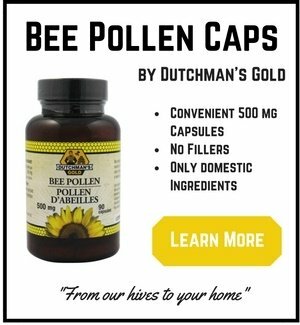 There are many bee pollen marketers out there who claim that their processing and refining and encapsulating of bee pollen yields a superior and more bio-available product. 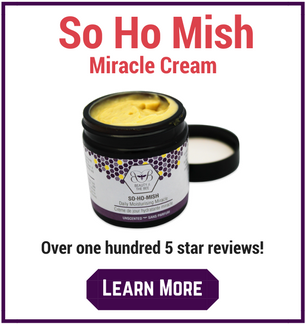 They claim that by removing the outer shell of the pollen that it makes the nutrients more easily absorbed by the human gut. I would argue that this process of refining the bee pollen actually does more damage to the delicate nutrients than it does good. By processing the shell, you expose the delicate nutrients in the pollen to oxygen and light, both of which oxidize and break down nutrients. The end result is actually less nutrients being delivered to the consumer, not more. There is also the question of what nutrients are physically removed anytime you process a food as nutrient dense as bee pollen. 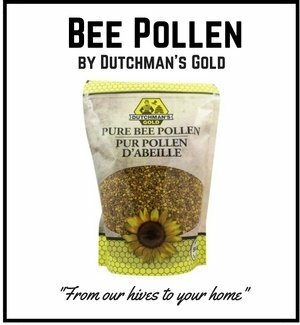 Accidental or not, bee pollen is the most nutrient dense food on the planet and to remove some of the vital compounds of the pollen will undoubtedly lessen its effectiveness. 1) Buy a bagged or bottled raw bee pollen that you can physically see the pollen granules. Avoid buying a pill or tablet unless you simply can't stomach raw bee pollen or if you travel a great deal. I take bee pollen capsules with me whenever I leave the comfort of my kitchen. Ultimately, it is much, much healthier to consume bee pollen in pill form than not to at all. 2) If you find a product that looks like it hasn't been processed, the next thing you need to find out is how it was dried. You want a raw bee pollen that was freeze dried if possible. 3) Next, find out if the raw bee pollen was bagged and bottled within a couple of days after harvesting and then either frozen or refrigerated. Return from Raw Bee Pollen to Bee Pollen Buzz home.